The last stop of our Mediterranean cruise was Corfu. As our bus zipped through the island's towns and villages, I was taken aback of how rundown-looking some of the villages were. Also, driving there seems to be like a sport. Our bus encountered motorists who narrowly tried to overtake us in certain uphill turns. It was both amusing and nerve-wracking to witness such occurrences; this was after all, how they do it in Corfu. 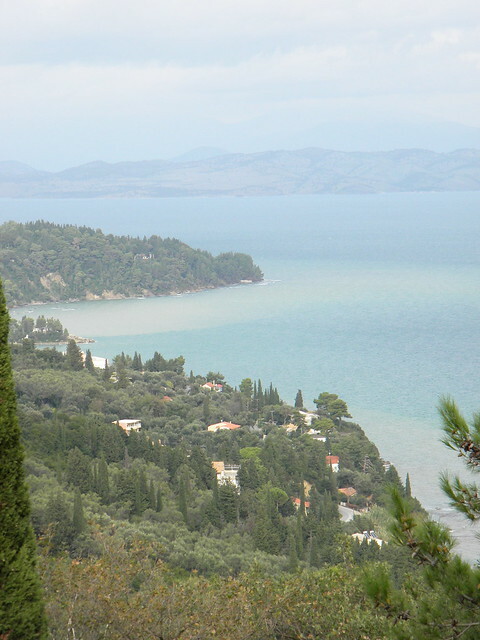 For me, it was all part of experiencing Corfu's island style. That day, our bus was taking us to Gastouri to visit the Achilleion Palace. It was a relaxing drive as we passed through orchards of oranges and olives. We even saw tourists who randomly stopped at a nearby orchard to pick olives who were drooping outside some fence. I secretly wished we could do that too. 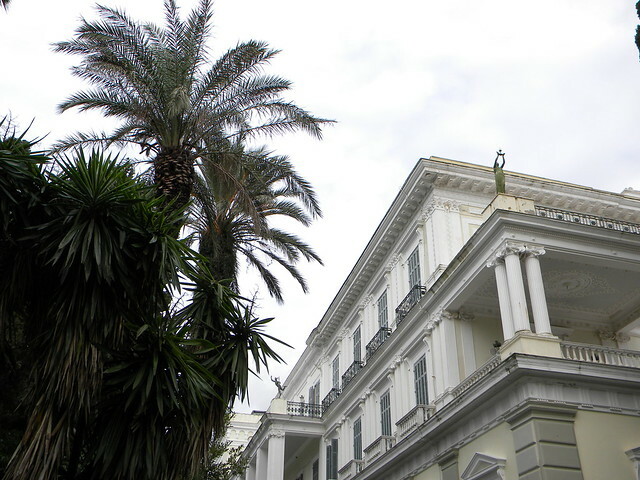 According to our tour guide, Achilleion Palace was built in 1890 as a summer retreat for Elizabeth also called "Sissy," the Empress of Austria. Unfortunately, Empress Elizabeth was assassinated in 1898 in Geneva and the palace was then deserted until 1907 when it was bought by Kaiser Wilhelm II of Germany. The palace is impressive and classical in design. 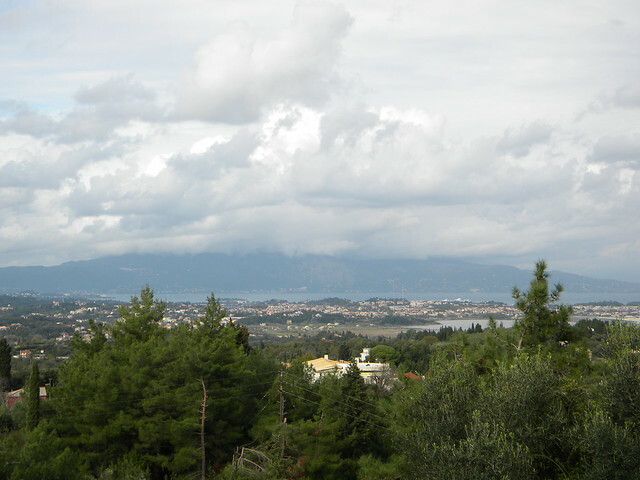 As we walked the palace grounds, I was taken by the statues that adorned the palace and of course, the breathtaking view of Corfu's Coast visible from the garden grounds. View upon entering the Palace gates. A statue of an athlete. 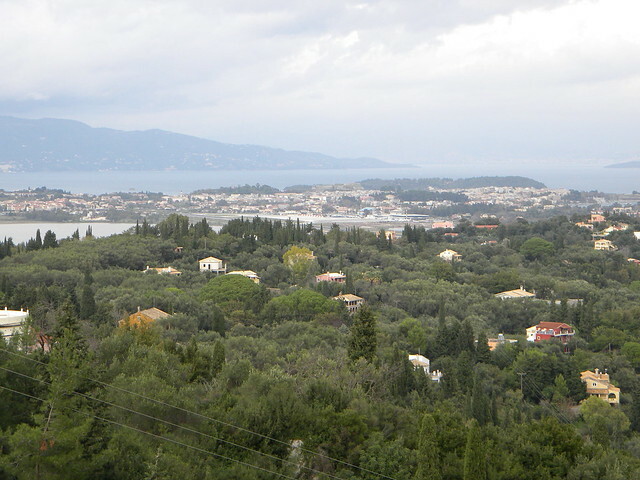 Achilles overlooking the coast of Corfu. 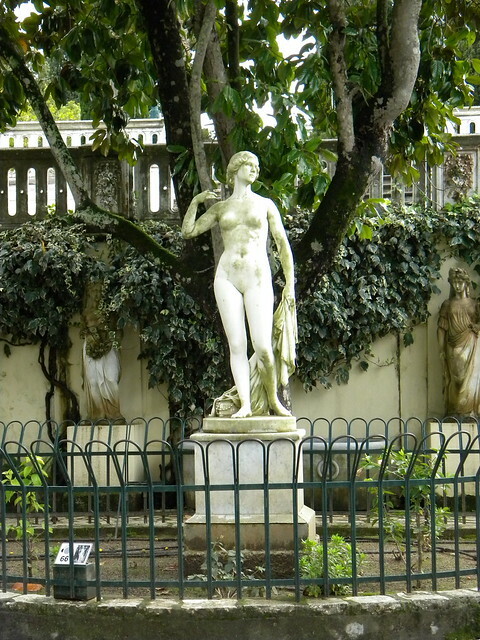 A statue of a maiden at the Palace gardens. 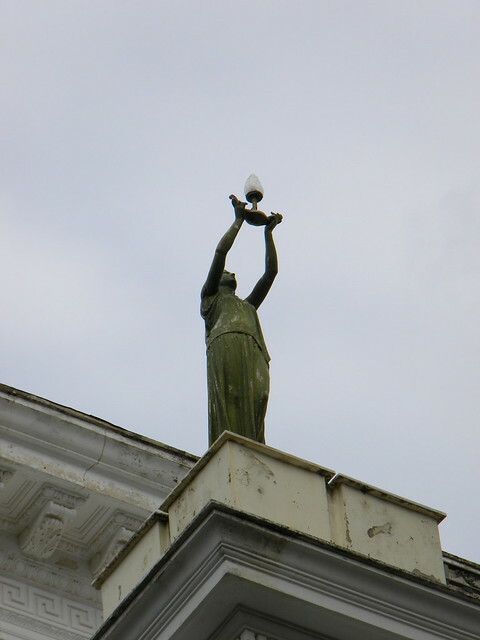 I think this is a statue of Mercury. 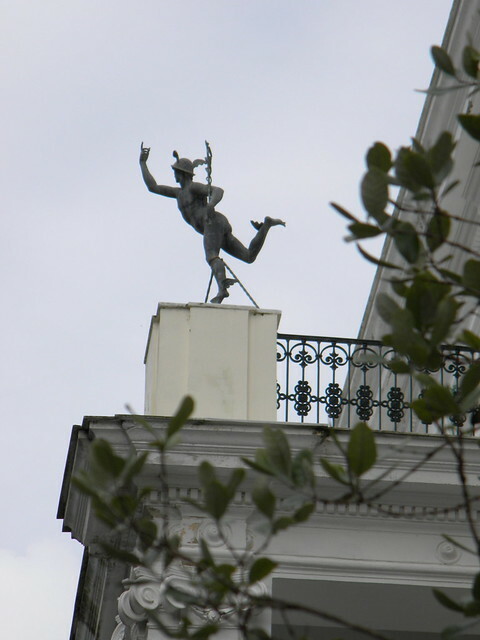 Another statue at the Palace's roof. 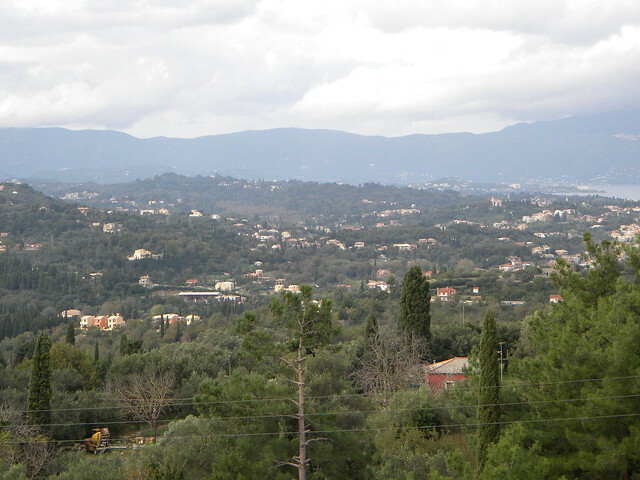 The next photos were taken from the Palace gardens overlooking the coast. I think these views make the Palace a perfect summer retreat. When we visited, it was very quiet and the weather was mild and cool. 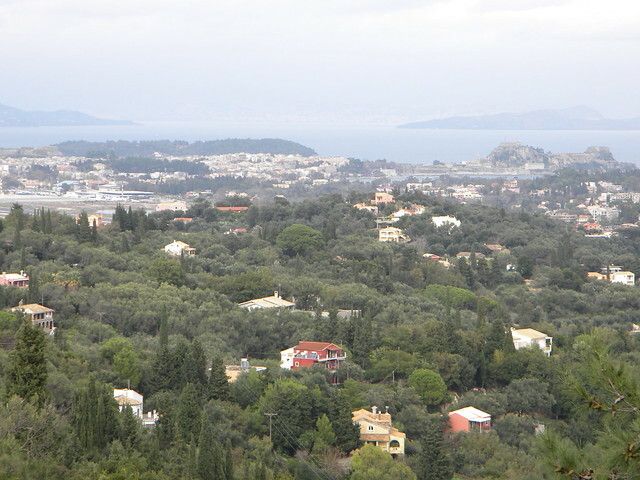 I also noticed that the Palace was perfectly situated to have an unobstructed view of the picturesque town of Corfu. Next, I'll post interior photos of the Palace. I had heard that the palace was beautiful. Poor Sissy. I do not know if she even got to visit her palace. such a lovely island, so magical. Those houses on top of the mountains overlooking the sea, I love it. I would love to have a house in that location. I wish. Btw, I love the font of your header and title of posts. So fun! wonderful views. it's like a very big village..
the maiden in one of the photos is realistically-sized. i like it.